After almost 5 years of competing together, and counting Olympic Silver Medal, one 470 World Championship gold medal, two silvers and one bronze, Hannah Mills/Saskia Clark (GBR) have cracked the ISAF Sailing World Rankings and today become the world #1 470 Women team. 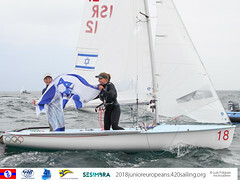 Released today, 30 November, their upwards climb on the World Rankings has been accelerated by recent results including victory at the ISAF Sailing World Cup Final in Abu Dhabi, a silver medal at the 2015 470 World Championships and a win earlier in the summer on home waters at ISAF Sailing World Cup Weymouth & Portland. Mills/Clark usurp the long-time world #1 partnership and 2012 Olympic Gold Medallists Jo Aleh/Polly Powrie (NZL) who held top billing since February 2015. 2015 World Champions, Lara Vadlau/Jola Ogar (AUT) move on up to a world #3 ranking. The same ten teams hold firm in the world’s top ten, but just a different order. 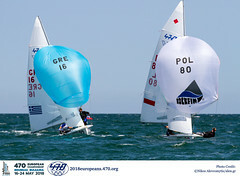 In the 470 Men world rankings, no change at the top as Mat Belcher/Will Ryan (AUS) easily keep the chasing pack at bay and count a 70 points advantage over the world #2 pairing of Luke Patience/Elliot Willis (GBR). The Aussies retained their World Championship crown for the third successive year as a partnership, which also marked Belcher’s sixth successive World title. Reclaiming a position they last held in December 2014, Croatia’s Sime Fantela/Igor Marenic put their stake in the ground with a world #3 ranking, ousting Onan Barreiros/Juan Curbelo who drop to world #7. 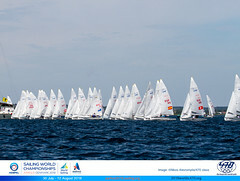 The next ISAF Sailing World Rankings will be released in early 2016 (dates to be confirmed by ISAF).